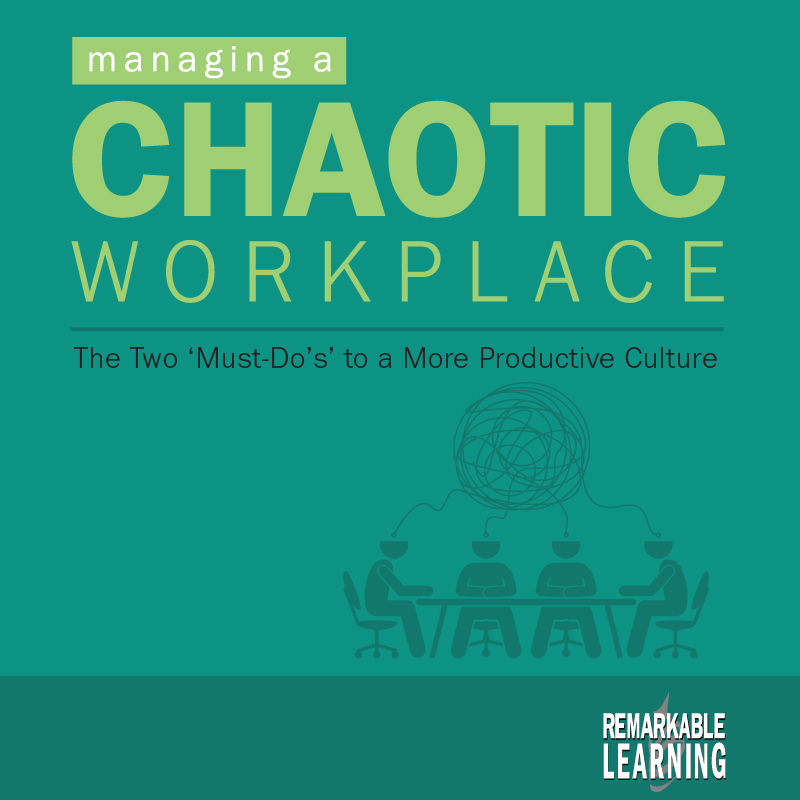 Learn the steps and tools to re-invigorate you and support a productive, motivated and highly effective workplace environment. Work can get chaotic and seem out of control. Constant demands on you to do more with less, take on new responsibilities, clean up old projects, create or introduce new products for the marketplace, update the marketing materials, support and discipline employees...and the list goes on. Have you ever had one of those days where you say to yourself: “What did I actually get done”? or: “Where did the day go”? The question is, how do you get control and stay on top if it all? In this information-loaded session, you will get the answer with steps and tools to re-invigorate you and support a productive, motivated and highly effective workplace environment. Eliminate the obvious time wasters that slow you down and keep you and your staff distracted from their real goals. This is how to get it right, right from the start. Take a quick 90 minutes out of your day to join critically acclaimed productivity coach Bruce Lee for a webinar about getting more done every day with less stress. This webinar combines the best of time management techniques with critical time management templates to keep you on track and the best attributes of leadership—all of which come together to create incredible, productive results. If your workload is constantly causing you stress, and you can’t seem to find a technique that works for you, this is the answer. The biggest time wasters to a productive day – including meetings! A simple template to get to your real priorities in order to tackle your #1 problem at work - lack of time! The habits and strategies of top business leaders that create the most results from Prime Time to the ‘Pareto Principal, smart decision making and the power of goals. Get the tips, guidance and tools you need to move ahead by doing the right things at the right time. Bruce Lee is an international event speaker, coach, MC and author. He has a highly entertaining and effective delivery on an impressive variety of keynotes and workshops on productivity, customer service and leadership by combining humor and the latest business concepts and realities. All education sessions are focused on the actual implementation of the ideas and strategies – otherwise, why provide the training? In the business world, Bruce gained valuable management. marketing and sales experience as manager for the VISA credit card operation of a major bank, and in the oil and gas industry as a marketing representative for a fully integrated oil company. He was an executive recruitment consultant in charge of setting up their international operations, prior to launching a retail grocery and gas convenience store business. Joining Custom Learning Systems in 1990, now Canada’s largest training and implementation company, as President and Director of Marketing, helped grow it into an international operation with 14 staff and a team of 10 speakers in the United States and Canada, with sales in the mid 7 figure range. On a personal note, Bruce gets things done with a passion both outdoors and for his community. He is a semi-professional and published photographer, avid mountain hiker, road biker, scuba diving enthusiast, downhill skier, a regular blood donor with 420 donations to date, is active on several Boards, and volunteers teaching business courses on behalf of Junior Achievement in school programs.